Toni Cade Bambara was a writer and social activist who attended Queens College, City University of New York and City College of New York. She was born on March 25, 1935 and died December 9, 1995. This is the story of Squeeky, a young girl who considers herself to be the 'fastest thing on two legs'. (Bambara, 1) Squeeky's life consists of two things; taking care of her brother Raymond and constantly training for track. Squeeky, in training for the May Day races in the park, decides to go for a walk/ training session and takes Raymond with her. She encounters her rival, Gretchen, along with her 'shadows' (Bambara, 3), and they spar verbally. Squeeky and Raymond continue on their way, and purposefully arrive late for the May Day races. While collecting her number, she is asked, in a very round-about fashion, to give some-one else a chance at winning. She does not react well to this suggestion. 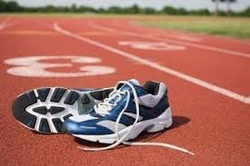 While on the starting block and realizes that Raymond is in position, on the other side of the fence, to run with her. He impresses his sister by keeping up with her, which leads her to start thinking of retiring from track and becoming Raymond's trainer. The story ends with Squeeky not only winning the race, but gaining respect for her rival and considering a myriad of other activities to pursue and conquer. The story is set in Harlem, New York.n The time frame is one day in the life of Squeeky. She has the responsibility of taking care of Raymond. She is resilient. This is so because she could think of a myriad of things to do, and conquer, if she had lost her race. She is selfless because she could rejoice in her brother's victory, and make plans for his future, despite the fact that it was her moment of victory. He is Squeeky's older brother. He trains with Squeeky because he has to keep up with her. He is as fine a runner as his sister. She placed second in the fifty yard dash. She is originally from Baltimore. Mary Louise and Squeeky used to be friends. She is one of Gretchen's 'shadows'. She is described as fat and has a big mouth when it comes to talking about Raymond. He is the race official. He implies that Squeeky should let someone else win this year. This theme is displayed between Squeeky and her brother Raymond. Squeeky is younger than her brother, but is given the awesome responsibility of taking care of him. She rises to the challenge and not only does not complain about being the caregiver of her mentally challenged older brother, but is his champion in every situation. She defends him tirelessly and bravely when anyone dares to tease him. Her love for him is further shown when she observes his skill on the track. She sees that he is talented and immediately starts to envision a future, in track, for him. Raymond returns his sister's love by being a very enthusiastic supporter of her running, he even runs her race with her in a show of support. Just the mention of Squeeky's name over the microphone would send Raymond into a fit of excitement. Squeeky's relationship with her rival, Gretchen, highlights this theme. Squeeky points out that 'Gretchen smiles, but it's not a smile ... girls never really smile at each other because they don't know how ... grown-up girls don't know either.' (Bambara, 3). This thought, by Squeeky, emphasizes the fact that girls are not encouraged to support each other, but to be competitive and to place all their time into refining the roles that they are assigned based on their gender. It is implied that Gretchen and Squeeky, after the race, learn to respect each other, 'We stand there with this big smile of respect between us ... like being people.' (Bambara, 7). Bambara, T.C, 'Raymond's Run' in A World of Prose, edited by David Williams and Hazel Simmons-McDonald. (Harlow, Essex) Pearson Education, 2005.